Many thanks to Jonathan Marks who shares a link to this speech by James Harding, Director of BBC News and Current Affairs. This public event was hosted by City University London on 18 December 2014. “2014 has been a year of exceptionally diverse and demanding stories – the Scottish referendum; the floods; Rotherham; UKIP; the Commonwealth Games and the World Cup; Ebola; Ukraine; IS; Boko Haram; the Malaysian airliners; Hong Kong. And, at the same time, huge change within BBC News. We are changing at a time when there’s a lot less money available. We had to make £50 million of savings this year, after four consecutive years of cuts. And many people in BBC News are, understandably, unhappy. Losing 415 jobs is incredibly painful for the individuals directly involved and the waves it creates are acutely felt by all of our teams of journalists and production staff. We have had to make some hard choices. We have restructured – a restructuring focused on two things: enabling original journalism and the digital transformation of BBC News. The digital transformation of BBC News, of course, did not start this year and it certainly will not finish to the strains of Auld Lang Syne. But we have been driving innovation and improvement. The mobile sites are now responsive in 30 languages; the Twitter breaking news feed topped 10m users; BBC News is the most retweeted news source worldwide; BBC Trending has gone from obscurity to the envy of newsrooms everywhere; the Weather app is the most popular we’ve ever done. And, most significantly, the new BBC News app went into BETA testing yesterday. We will roll it out in the New Year. It represents a huge step forward on two fronts that really matter in mobile: personalisation and video. What you need to know, wherever you are, whenever you want it. We have renewed the case for the BBC’s contribution to the revival of local journalism. We have shown a willingness to take on the wrong-headed argument that the problems of the local newspaper industry are the BBC’s fault; and we have shown a willingness to work with the local newspapers in meaningful partnerships. Someone said to me this week that the definition of partnership is “the mutual suspension of loathing in the pursuit of resources”. Well, I hope it can be more than that, as there is a real issue of information inequality in this country. Rich, old, white people are getting a better diet of news than poorer, younger and non-white people. And that’s increasingly true in national vs local news. Redressing the balance is one of the reasons we’ve doubled the regional news coverage in England in the 10 O’Clock news hour in the months ahead of the election. […]At the same time, we are making the most of the fact that the BBC is the world’s most global news service. Not just because it serves a worldwide audience of more than 250 million people. But because it has the voices and views, experience and contacts of the World Service – the language services, Monitoring, Media Action, World News – at the heart of it. And since the journalists at Bush House moved into New Broadcasting House, the World Service teams on the 5th floor are driving our reporting and analysis like never before. This week, Shaimaa Khalil, a former World Service correspondent, has been reporting from Peshawar, backed in no small part by the Urdu Service, the service that edited and published Malala Yousufzai’s blog long before she was a Nobel prize winner. Hard to recall that back in 2008, when the Taliban imposed a ban on girls’ education in Pakistan’s Swat Valley, no-one had heard of the schoolgirl from Mingora before BBC Urdu reporters set out to capture the impact the conflict was having on the pupils involved. […]But the primary role of the World Service Group, of course, is to serve audiences outside of the UK. And I was struck by the remarks made by the chief executive of Guardian Media Group, Andrew Miller, in October. I’d better be careful – he’s speaking after me! Andrew has criticised the BBC’s recent expansion in Australia. 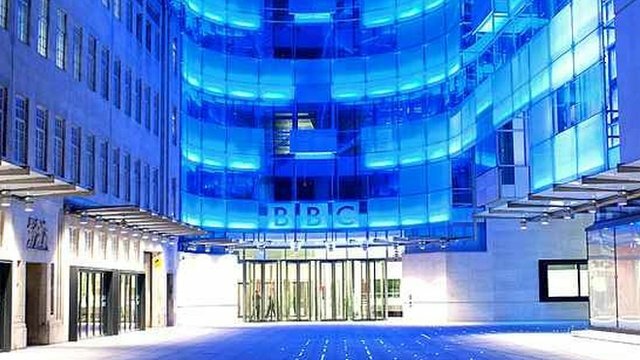 He said the BBC’s move into Australia, where the Guardian launched a local online edition last year, threatened to distort the market and had no benefit for UK licence fee payers. Well. What has the BBC done? Actually, we decided to tailor the BBC.com homepage for the local audience. And to do so, we appointed two people – a local editor and a homepage editor. Hardly a distortion of one of the world’s most competitive news markets, nor, I think, a threat to the Guardian’s ambitions there. And, more importantly, I don’t want to see the World Service, now that it is funded by the licence fee payer, losing its appetite to serve people around the world. There are plenty of global news providers – CCTV, Russia Today, Al Jazeera – who would love to see the BBC reined in globally. I make no apology for our ambitions for the World Service. When it started broadcasting in 1932, John Reith warned listeners to keep their expectations low. Instead, it far exceeded them. We want to go on doing that. It is, to my mind, Britain’s best loved and most respected export. We should build it up, not tear it down. It’s a global news service that is trusted, respected and relied upon by a quarter of a billion people around the world. Our ambition is to double our global audience by 2022 to half a billion. And even in our connected world, reliable, independent information is more needed than ever. Throughout the long history of the Cold War, the BBC World Service was broadcasting behind the Iron Curtain to a people denied the basic right of freedom of speech. The world does not stand still, and the Berlin Wall has long been reduced to rubble. So while today we are driving digital growth through mobile and social products we are also looking at how we can develop a service that might work for North Korea. And, I must say, we find ourselves increasingly reflecting on the position of the media in Russia and Turkey. This entry was posted in Broadcasters, International Broadcasting, News and tagged BBC, BBC News, James Harding on December 20, 2014 by Thomas. I’m looking to see how BBC World Service will achieve this goal WITH its global audience rather than just “for” them. BBC World Service is still fixated with rolling news magazines. While that is important, I find the much broader range of programmes on BBC Radio 4 to be infinitely more engaging. I use the “downcast” app to build a selection of BBC WS and BBC Radio 4 podcasts so I can assemble my own schedule. I note that BBC WS still produces programmes like “From our own correspondent” for BBC Radio 4. There are still some jewels in the BBC WS crown, though often they are hidden. And there is junk like Newsday which trundles on because BBC Managers are not listening at that ungodly hour. I actually use Newsday in broadcast management training as an example of “broken news”. It remains in denial, decidedly awful.